There is a big focus on saving and investing for retirement, and rightfully so. This is the one part of the retirement planning process that you have the most control over. But as you prepare for retirement there is another significant part of the planning process you have control over that is often neglected: deciding when to begin receiving your Social Security benefits. Understanding your full retirement age is an important step to begin the process of determining when to claim your benefits. An important first step in the Social Security decision-making process is to identify your full retirement age. When it comes to retirement, what is normal? When you hear the phrase normal retirement age, you might think it represents the average retirement age for American workers or the age at which most people retire. If you ask others about when they plan on retiring you will often get a wide range of responses. What exactly is the normal retirement age? The ages of 59.5, 62, 65, 66, 67, and 70 are a few examples of common responses to this question. While it's a good guess, in practice a person's normal retirement age is actually a defined number that has little to do with what's "normal" and a lot to do with that person's eligibility for retirement benefits. Today, normal retirement age is most commonly known as the full retirement age. Normal retirement age (more commonly referred to by financial experts as full retirement age or FRA) is the age at which you first become entitled to full or unreduced retirement benefits through Social Security. Your FRA may actually have little to do with when you decide to fully retire, but it should be a part of your retirement planning as it will be a key number in determining a large part of your retirement income. 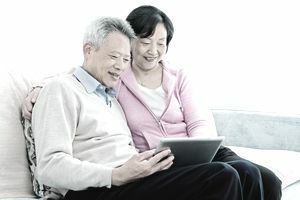 When it comes to retirement planning, number 2 is particularly important as it is the one piece of your retirement benefit that you will have the most control over and it can have a large impact on how much of a benefit you get. For those eligible for Social Security retirement benefits, meaning those workers who have earned the minimum 40 credits during their working years and those worker's spouses, retirement benefits are actually available as early as age 62. But filing for retirement benefits in any year between age 62 and your FRA is considered "early" retirement. Those who opt for early retirement also opt for a permanently reduced money benefit (by as much as 30%!) in exchange for starting to collect it early. While there are some circumstances under which taking the benefit early may be the best decision (such may be the case for retirees with terminal illness or shorter life expectancies), more often than not it is best to wait at least until your FRA or longer. But in order to make an informed decision about when to start taking Social Security, you'll need to know your full retirement age.